Most people don't know that I spent a great deal of time in my early youth in the local tavern with my father. To keep me occupied, he gave me nickels to play pinball. From the age of about 5 to 8, I loved to play pinball. Although not a "Pinball Wizard", I have fond memories of these games, making my next story special. Marco Specialties, Inc. http://www.marcospec.com/ was founded in 1985 with one mission: provide pinball machine owners one source for Everything Pinball. With so many parts and SKU’s, Marco Specialties required a solution to print labels on-demand for two different applications. First and most importantly, Marco wanted to produce color labels with images of their products. What made this project interesting was the initial products were coils that required labels which can withstand temperatures of up to 170 degrees F.
Second, Marco wanted a system to improve their picking and reduce the probably of errors. With so many parts, it was easy to pull the incorrect part number. For an example of this issue, look at the label for one size of pinball and screw below. The first label shows a variety of pinballs, pointing out the specific one to pick. The second identifies the specific screw to pick out of potentially hundreds of similar parts. With this application in mind, Paul Mandeltort of Marco Specialties decided to purchase a TM-C3400, ink and media; both poly labels for the coil project and plain labels for the picking process. As a side, I met Paul last November at the International Attractions and Amusement Parks show in Orlando http://www.iaapa.org/expos/attractions/2012/ . This show is huge; and very important to the amusement industry; and to companies such as Marco Specialties. For the picking solution, Paul is still looking for less expensive media that provides good barcode quality. Since speaking to Paul, I have suggested some other media to test. Companies such as Marco Specialties are really perfect customers for on-demand color labels. With so many part numbers, it is very difficult to use preprinted labels without maintaining an inventory of a large number of labels. Further, images on labels help employees and distribution use, manage and sell the products. And it helps end users select the correct products to meet their requirements. Color on-demand labels are a win-win-win for everyone involved in the supply chain. If you have customers with a large number of SKU’s, speak to them about moving to on-demand color labels. Although you may not become a "Pinball Wizard", but you could become a "Wizard" for valuable, new solutions. One of the largest providers of antibodies in the world had 3 problems. As they add approximately 600 to 800 new produces every month, they could not use preprinted labels. The inventory of labels would grow significantly if they had to purchase the minimum quantity for every single SKU. You may remember, I wrote about Octochem- http://colorlabelsondemand.blogspot.com/2012/02/chemistry-opportunity.html and Oakwood http://colorlabelsondemand.blogspot.com/2012/02/un-drives-print-on-demand-color-label.html This new initiative requires this antibody company and chemical companies in general to print color icons, hazards and warnings to insure consistent communication internationally. Currently, North American companies are moving to make all international shipments comply to these standards. In the future, all shipments of chemicals may need to comply to these standards. After an introduction from Rick O’Brien of Bar Code Direct, http://www.barcodedirect.com/Home.aspx, I learned of this company’s media requirement. With such cold temperatures, I knew immediately this company needed a very durable label with freezer grade adhesive. 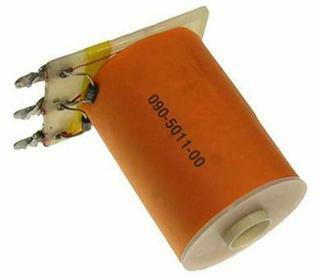 Therefore, I contacted Aaron Heller of General Data who has available a poly label with a freezer grade adhesive, M-633. With a service temperature spec of -40F, Aaron felt this label should meet most of their requirements. From the experience of this antibody and other companies using print-on-demand color labels, media selection is a big part of the solution. If you have specific media requirements, contact me to help connect you with the provider of media to meet your or your customer’s requirements. And if you have customers adding SKU’s frequently, be sure to discuss print on-demand color labels. 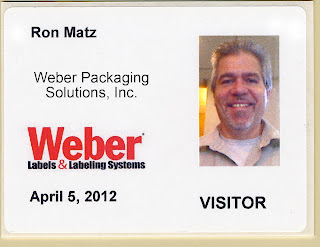 Weber Packaging Solutions, Inc. (http://www.weberpackaging.com/) is an innovator in the design, manufacture, and supply of high-performance labels and labeling products. They provide the latest in systems, software, and media; then back them with a nationwide network of service, and technical support. 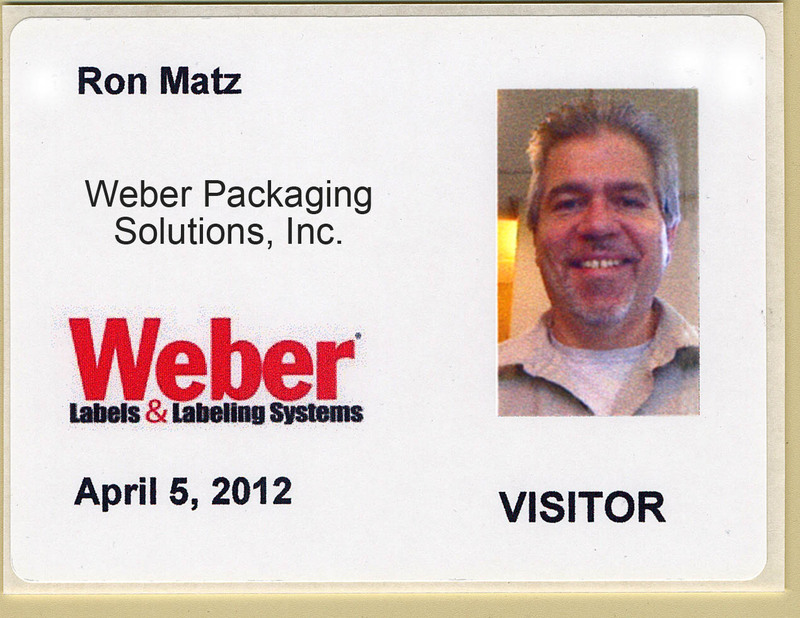 Weber uses a new visitor management solution using visitor management software from Easy Card Creator (http://www.easycardcreator.com/default.asp), an inexpensive IP web-camera, the TM-C3400 and label stock that Weber produces. “When the sales representative returned to his company wearing the badge, the owner of the company was impressed with the quality of the badge and picture. Immediately, he had his staff vist go-label.com to order the visitor management solution”, says Ron. In addition to the application that Weber uses, Easy Lobby (http://www.easylobby.com/), LobbyTrack (http://www.jollytech.com/visitor-management/index.php) from Jolly Technologies, and PassagePoint (http://www.stopware.com/products_passage.htm) from Stopware are visitor management applications that work out-of-the-box with the TM-C3400. In fact, any visitor management application that prints to a Windows driver should work with this printer. For companies in the AIDC market, make sure you have a visitor management solution using the TM-C3400 in your lobby. It could become a great selling tool to reach new customers with a new solution. Be sure to contact me if I can help you with your visitor management applications. 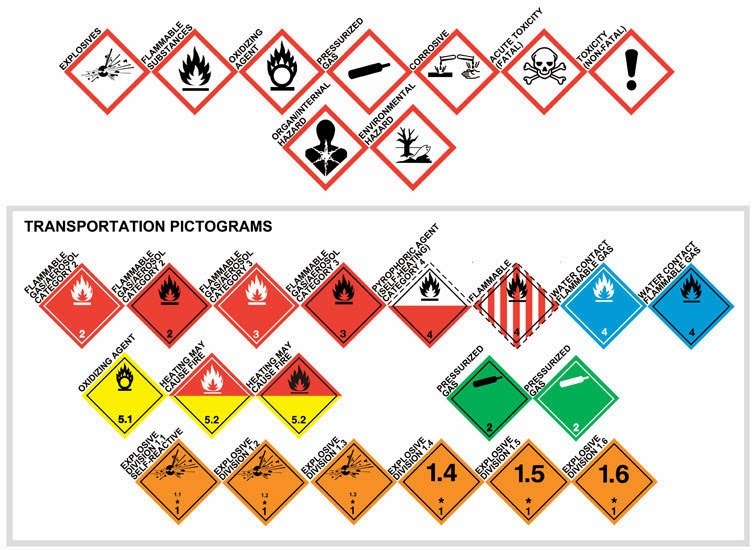 Hank Solutions (www.hanksolutions.co.uk) provides a "SDS online" product to produce safety data sheets and labels, compliant to the Global Harmonized System of Classification and Labeling of Chemicals (GHS) guidelines and regulations. This web-based software makes GHS compliance easy to do and affordable. Fluorochem has been supplying intermediates for research and development to Pharmaceutical companies, Universities, Biotechnology companies and Contract Research Organizations for over 40 years. With a product portfolio of nearly 45,000 items, Fluorochem required a solution to produce GHS compliant labels on-demand. I met Lee and Darren Mitchinson, cofounder of Hank Solutions at the recent American Chemical Society meeting in San Diego (http://portal.acs.org/portal/acs/corg/content?_nfpb=true&_pageLabel=PP_MULTICOLUMN_T5_33&node_id=644&use_sec=false&sec_url_var=region1&__uuid=0441de3c-9789-47c3-b1a1-8d5000b23dec). Exhibiting at the tradeshow, Lee found the event successful. “We received many solid leads who need to print GHS compliant labels” according to Lee. “In our booth, we met chemical manufacturers, chemical distributors and University laboratory operators. During our discussions with the universities, we found they need a means to label their waste solvent streams. With our web-based system, a university lab would make 1 product including all the substances, enter a batch number and quantity, and then produce a label. It’s easy to do” states Lee. Companies like Hank Solutions have a great opportunity helping chemical companies comply to GHS. Be sure you are taking advantage of this opportunity by providing solutions for chemicals to your customers.